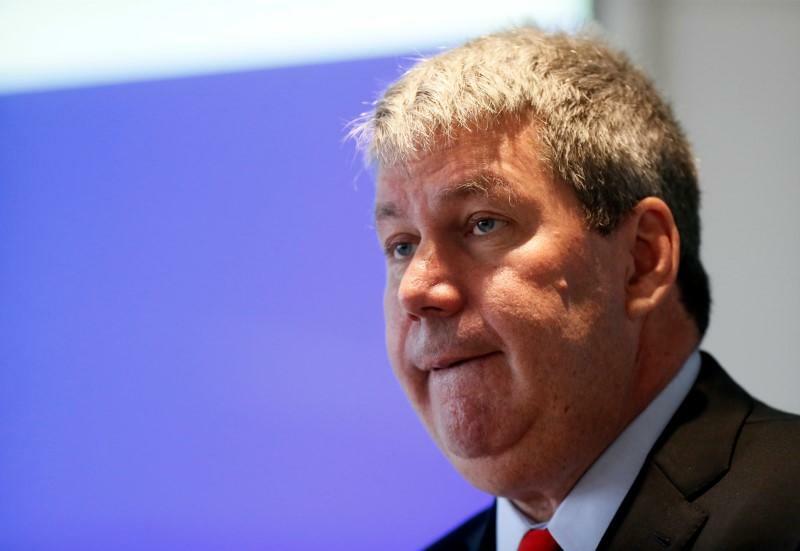 (Reuters) - Valeant Pharmaceuticals International Inc's (VRX.TO) (VRX.N) ailing chief executive, Michael Pearson, said he was on the road to recovery but was uncertain about when he would return from medical leave. Pearson, who joined Valeant as CEO in 2010 after a 23-year career at consultancy McKinsey & Co, was hospitalized with severe pneumonia in late December. "As you know, I unexpectedly entered the hospital in late December to receive treatment for severe pneumonia and some unexpected complications resulted in a longer hospital stay than anticipated," Pearson said in a memo to employees on Monday. "...I look forward to being back at work when able," he said. Pearson's illness capped a tumultuous year for Valeant as investors turn up the pressure for the Canadian drugmaker to provide a more detailed plan on how it will increase profits in 2016. Valeant has faced concerns and criticism over steep price increases on some drugs and close ties to a specialty pharmacy that used aggressive methods to overcome insurer barriers to reimbursing its medicines. The Laval, Quebec-based company has since cut ties with the pharmacy and reached a deal to distribute its drugs through leading pharmacy chain Walgreens Boots Alliance Inc (WBA.O). Valeant in January named its former chief financial officer and Pearson's long-time lieutenant, Howard Schiller, as interim chief executive. The move to appoint Schiller came after Valeant said that a group of company executives would take over for Pearson until he returned, an unusual arrangement that sent shares diving. During most of the years Pearson led the company, Schiller worked alongside him. The two employed a rapid growth strategy based on a constant stream of acquisitions and drug price increases. Valeant's shares have taken a battering in the last five months and tumbled more than 66 percent from its August high of $263.70. They were up 0.6 percent at $89.10 in premarket trading.